Christopher is a Director with over 25 years experience in the industry he has a wide range of experience as a team leader in property condition audits, tax depreciation, cost planning and life cycle costing on a wide and diverse range of new and alteration projects for both private and Government clients. He has been responsible for the preparation of business case studies and cost benefit analysis for numerous projects for both ACT Government and Commonwealth Agencies. He is extremely experienced in working with the Department of Defence having prepared numerous Net Personnel and Operating Cost analysis (NPOC) for a wide range of studies. A sample selection of Projects have included Canberra Theatre Trust Proposed Link ($8M), Belconnen Leisure & Aquatic Centre ($20M), ACT Supreme Court Study ($50M), all for the ACT Government and ACT Accommodation Study ($1b), HNA RAAF Edinburgh ($0.6b), Commando Training Facility Holsworthy ($86M) and the RAN Heritage Centre ($5M) for Department of Defence and the Australian Cotton Research Institute ($6M), Narrabri, EMAI Camden ($40M) for NSW DPI. Christopher was also responsible for the preparation of the financial submission for the new 40,000m2 Centrelink National Support Office at Tuggeranong including the Cost Benefit Analysis and input to the REG 10 Submission to DoFD. 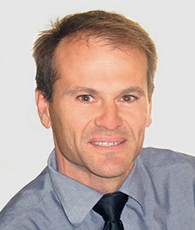 Peter has over 26 years experience as a professional cost consultant. 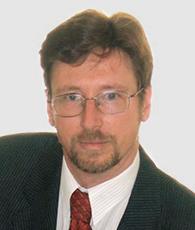 He joined Wilde and Woollard in 1985 becoming a Director in 2001. Peter is the Director responsible for estimating and cost planning of major projects within the Canberra Office with emphasis on ecologically sustainable principles. Peter has a wide range of experience as team leader in cost planning, bills of quantities, property condition audits and post contract services on a wide and diverse range of new and alteration projects for both private and Government clients. He has well recognised expertise in successfully cost planned outcomes on both complex building works and major infrastructure projects. Peter has also extensive experience with budget preparation of major Defence Projects. David has over 20 years experience working as a cost consultant in the construction industry. 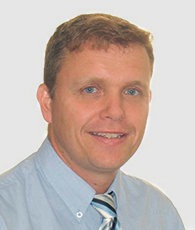 He joined Wilde and Woollard after migrating from the UK in 2006 and became a director in 2011. David has a wide range of experience of new build and refurbishment projects for both public and private sector clients including residential developments, education facilities, child care facilities, office fitouts and major defence projects. He has a proven track record in cost planning, in the setting of achievable budgets for future works and of managing costs throughout the whole project. In addition to the more typical Quantity Surveying roles he has provided life cycle costing, cost benefit analysis and risk assessments on a variety of large and complex projects.